In the battle for Kobane on the Syrian border everyone talks about the enemy - IS - and the frightening ideas that drive them. No-one talks about the Kurdish defenders and what inspires them. Abdullah Ocalan was born in 1948 in south-eastern Turkey. In the early 70s he went off to Ankara and became a student - and like many students then he became fascinated by revolutionary Marxism. But Ocalan also believed in Kurdish nationalism. His family were Kurds - and like millions of other people in the south east of Turkey they considered themselves part of an invisible nation that stretched across the border into Northern Syria, Iraq and parts of Iran. The Kurds had always had a bad time. They were oppressed by the Ottoman empire. Then - at the end of the first world war they were promised a homeland, but the new Turkish state refused to give them any land. While the British went and created the new state of Iraq and sent aircraft to bomb the Kurds there into submission. But the British government thought it wasn’t a good idea. The Kurds would have to wait for Saddam Hussein - who was also strongly in favour of using poisoned gas. In 1978 Ocalan, along with a group of other student revolutionaries formed The Kurdistan Workers’ Party - the PKK. Its aim was to create an independent Kurdistan that would also be a marxist state. Then, in 1980 there was a military coup in Turkey - and Ocalan decided that the PKK party should use violence to achieve its aim. He went off to the Bekaa valley in the Lebanon and set up a training camp to create his army of liberation. Here is some footage of them training - along with Ocalan explaining what they are trying to achieve. It’s slightly ghostly - because over ten years years before, all the Palestinian marxists and the European student radicals had also set up training camps in the middle east. They were now either all dead or defeated - and Ocalan and his followers were like latecomers to a party that was almost over. But that didn’t stop their growing popularity in Kurdish areas in Turkey. I’ve included some film from inside Turkey at that time - where weddings turn into celebrations of PKK attacks. At the very time that Ocalan was training in the Bekaa - Murray Bookchin was in the US writing a grand theory of how to create a new revolutionary kind of world. The problem - he had decided - were the hierarchies throughout society that controlled people. In many cases they had become so deeply embedded in peoples minds that they were almost invisible - people just accepted them as a natural part of life. To begin with Bookchin turned to anarchism. 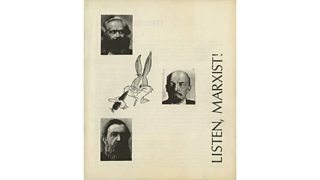 But he didn’t stop there - he started mixing anarchist theories with all sorts of other radical ideas drawn from libertarian individualism, scientific theories of nature, Trotskyism and experimental psychology. One of the most important influences on him was a writer called Lewis Mumford who in the1960s argued that new and unseen hierarchies were emerging out of human beings relationship to computers. 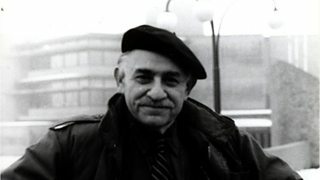 As a result Bookchin’s ideas remained out on the fringes. Meanwhile Abdullah Ocalan was helping to create horror on a vast scale in Turkey. The war he had started had become a nightmare. By the mid 1990s nearly 40,000 people had been killed - the majority of them Kurdish civilians. The very people the PKK were fighting to liberate. The Turkish security forces had responded with extraordinary brutality. They destroyed over 3000 villages - sometimes bombing and shelling them to destruction. At the same time they paid Kurdish villagers to set up local defence forces called “Village Guards” - to stop the PKK. If they didn’t agree their villages would be destroyed. 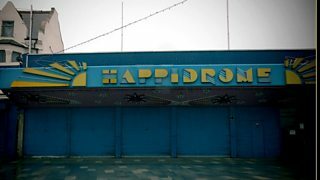 What resulted was a large part of South-eastern Turkey being transformed into a strange half-life zone. Millions of people lived in a state of constant fear and suspicion. The mood was captured by a film made by the writer Michael Ignatieff. Here are a couple of extracts. It starts with him going to a PKK camp over the border in Northern Iraq where the fighters are still devoted revolutionary marxists. There is a really good section showing the “self-criticism” session for the women PKK fighters being held in a tent. He also takes part in target practice with the fighters. But then Ignatieff goes into the heart of the Turkish-Kurd disputed area - to the town of Dyarbakir - and you get a real sense of the frightening world the war of national liberation had created. Then - in 1999 - Abdullah Ocalan was captured by the Turkish security forces. He had been forced out of his base in Syria and had become a stateless person on the run. Everywhere he went - Russia, Italy, Greece - forced him on, until he ended up in Nairobi where the Turks kidnapped him when he was en route to the airport. Allegedly they were helped by the CIA. Ocalan was then taken to Turkey where he was put on trial. There were massive protests by Kurds around the world. Here are some of the news reports of what happened. Plus some of the strange footage the Turks released showing Ocalan gagged and bound on the private jet taking him back to Turkey - and then on the boat out to the island prison. Ocalan was taken to a maximum security prison on the island of Imrali. He was the only prisoner - surrounded, it is said, by a thousand military guards. In his solitary confinement Ocalan began to read. And in 2002 he found a book by Murray Bookchin called The Ecology of Freedom - The Emergence and Dissolution of Hierarchy. Despite the title, Ocalan was inspired by Bookchin’s arguments - and it changed the way he saw the world. 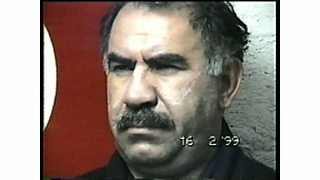 It made him realise - Ocalan said - that all systems of power create 'submissive persons’, and that the only way to really create a true revolutionary world was to build one without any hierarchies. He turned his back on Marxism and nationalism and proposed instead a completely decentralised system of government - run by local committees. Then came the Syrian civil war - and the Kurds in the north of Syria used the chaos to create a series of free enclaves - one of which is the city of Kobane. The Kurdish group who did this is allied with the PKK - and it seems that they have set up free self-governing communities in these areas that are inspired by Bookchin’s ideas. It is a fascinating story - but in our cynical age such ideas seem unrealistic, pie-in-the-sky experiments. But I have found a film in the archives that suggests that maybe these kinds of ideas may have more relevance to the modern world than we think. It’s a film made in the mid-1960s called Towards Tomorrow - and it tries to envisage what utopias might emerge in the next century. It asks how society, in an age of the masses and the decline of old forms of authority, will be organised. It describes two possible and contrasting visions of the future. 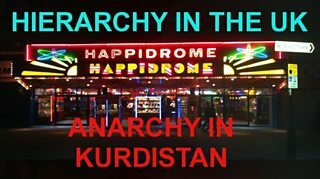 One is put forward by the American thinker who inspired Murray Bookchin - the writer and techno-theorist Lewis Mumford, and is very similar to the very ideas that the Kurds are now experimenting with. The other is a vision of a world managed by an elite group of technocrats who see people as passive beings who need to be constantly monitored and managed in order to keep them happy. The section of the film that outlines this possible future is very odd - because as you watch it you get an eerie sense of familiarity. That what is being described is the very world in which we all now live. Here - for example is one of the exponents of this future world. He is called Herman Kahn and was one of the first think-tank futurologists. The other man with him is his assistant. Listening to them talking in 1966 and describing what they think might come in the future is quite strange. The film then goes to another promoter of this utopian future - an experimental psychologist called B.F. Skinner. He outlines a new way of controlling and ordering people. It is no longer possible, he says, to tell people what to do. In an age of individualism and mass democracy people won’t accept that any longer. Instead you reward them for behaving in the ways you want them to. You make them happy, and they feel that they are in control - because by doing something they get the reward. Skinner had started doing this with pigeons - and the film shows how he trained them to peck at a particular button because if they did they got a pellet of food, whereas if they pecked another button they got nothing. For Skinner though, that was just the start - and the film shows how his ideas were also being applied to human beings. Here is that section - along with Skinner explaining his ideas. The film records an experiment in a mental hospital in San Bernadino - California. The patients are given rewards in the form of plastic fake money if they do what the doctors consider the right social behaviour. They can then use that money at meal-times to buy their way onto a “nice” table - with tablecloth and flowers. Those without the rewards have to eat - as one of the nurses puts it, “in less elegant conditions”. What emerges in the hospital is a new, ordered hierarchy created by a system of reward - but one where the patients don’t feel controlled - instead they feel “empowered” because it was through their actions that they received the reward. Skinner makes clear in the film that he sees this as a model for how to run a future kind of society. This is a website expressing my personal views – through a selection of opinionated observations and arguments. I’ll be including stories I like, ideas I find fascinating, work in progress and a selection of material from the BBC archives.